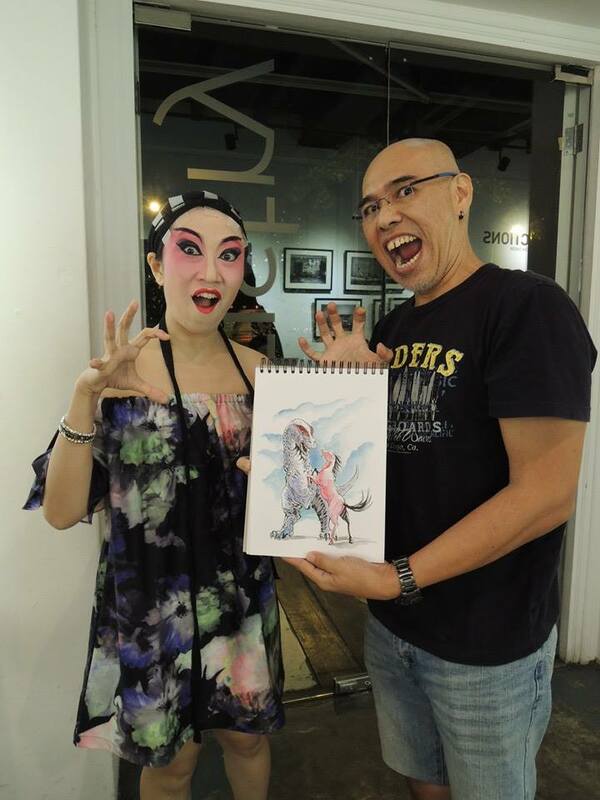 On 6th Dec 2014, Dr. Sketchy was co-hosted by Jerry and Annabella, featured Hua Dan Honey! 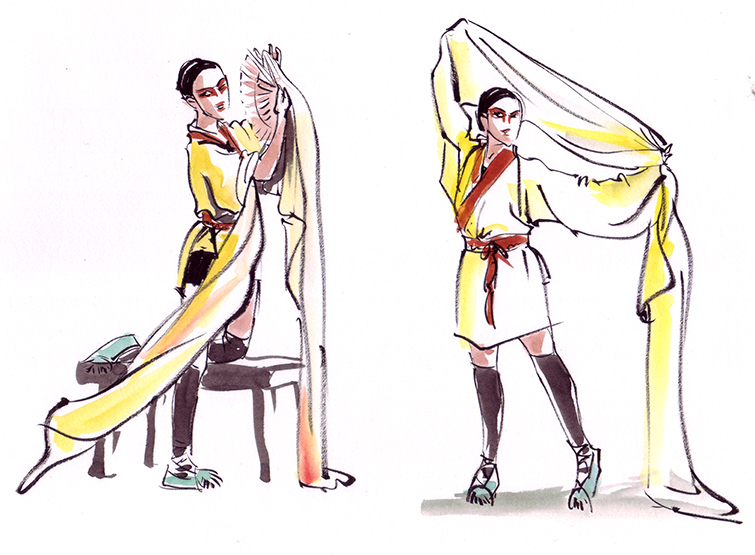 As usual, it began with 2-minute poses. 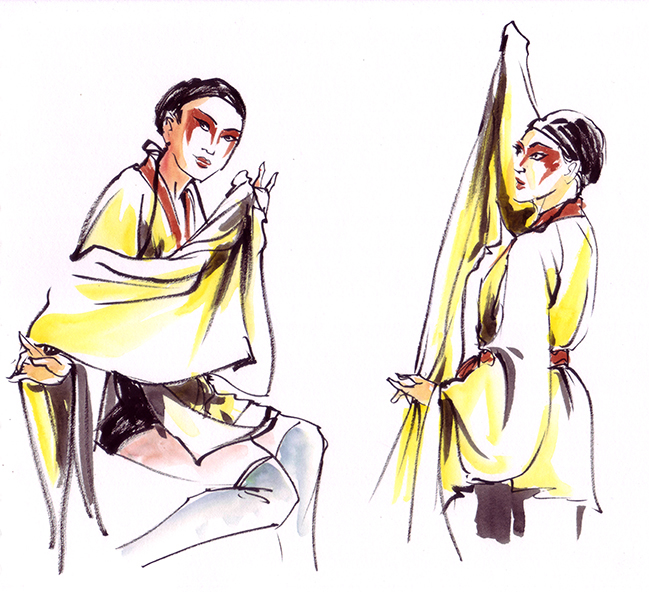 The elegant long sleeves of Cantonese Opera Costume were beautiful when they were laid out in authentic poses. 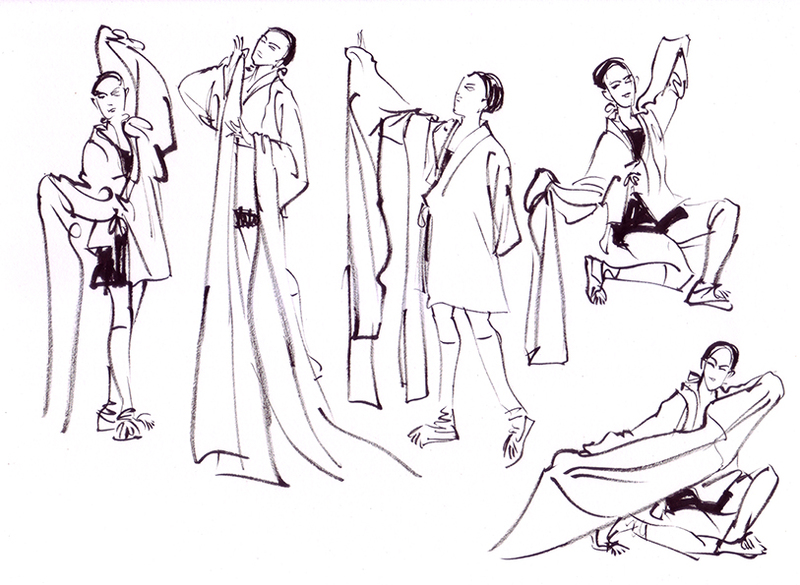 2-min poses. Brush pen. Notice the signature long sleeves of the costume. 5-min poses. 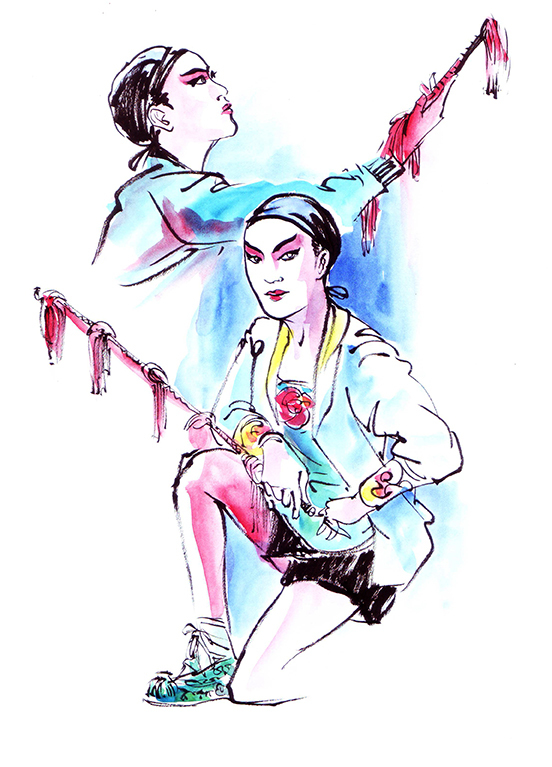 Did a close-up on these to tighten the feel of the poses. First contest round of 10-min pose. The theme was galaxy. 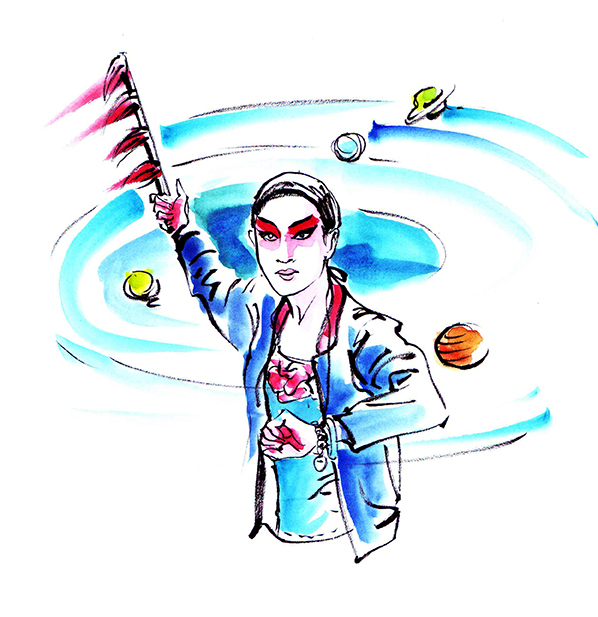 I have the talent surrounded by a bunch of planets from the swoosh of the whip. Second contest round of theme: Dinosaur. 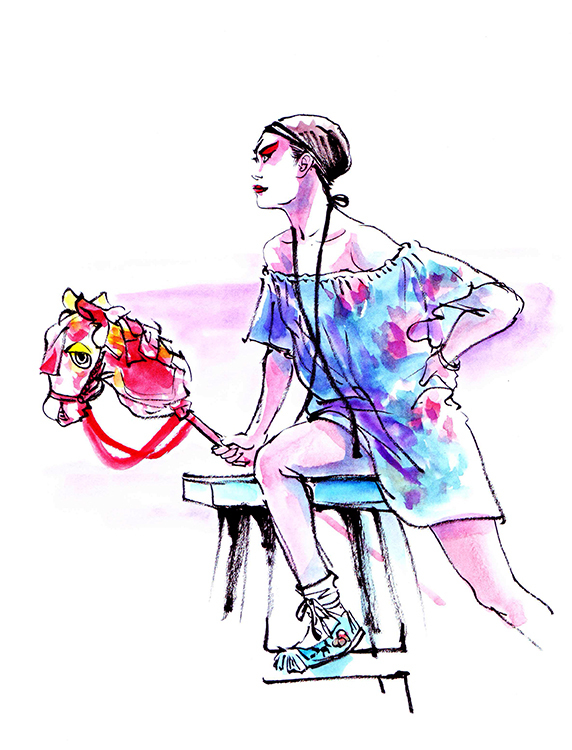 Here is the photo of how she posed with a pony as reference. 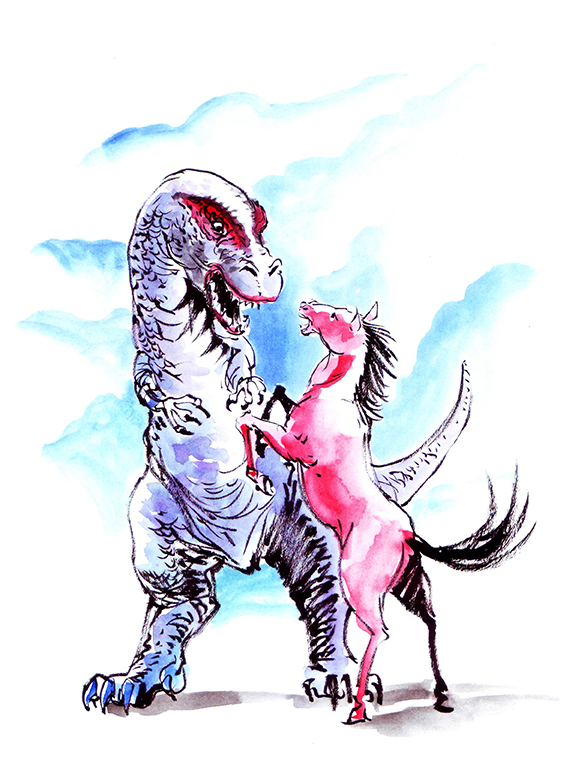 My Dinosaur-theme sketch with the T-Rex toying with a pink horse. Almost wanted to add a horn to change it to a Unicorn! A pink unicorn! 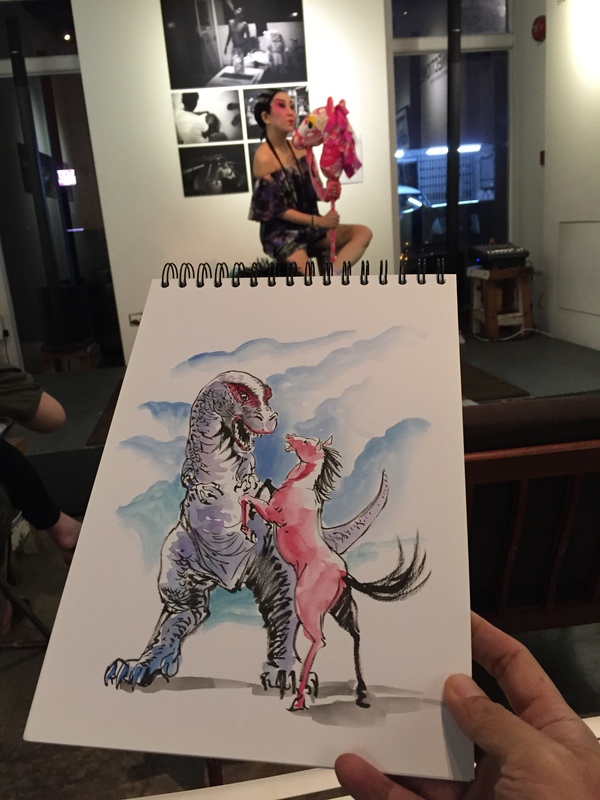 That’s the talent posed with me for a photo taking together with the dino-sketch. The final 20-min pose of the night. It was an awesome night when my drawing form was back. Sometimes, it hurts so bad when the form is off, especially the costume and talent are amazing. Hope you enjoy viewing!